I appreciate this has been covered many time before, but I can't seem to find the information I need. The car's in having a few essentials carried out. Whilst it's in I'm shopping for some upgrades, one being replacing the hideous 'Max Power' stereo for an apple play double din. I appreciate I need to relocate the climate to the bottom, but do I need to loose the cup holders as I can't seem to find a fascia that allows to retain the cup holder - or do I need to sacrifice this? Cup holders can stay, it's just the single din and the climate control. I'm currently looking at swapping mine too.........but not for one of those. I'm on a seriously low budget and have been looking at the xtrons as I've heard good reviews and are fully loaded with what I want from it. Not got that far. Will possibly make my own on my CNC or buy something similar and mod it if required. Cheers, found the trim for the lower climate. 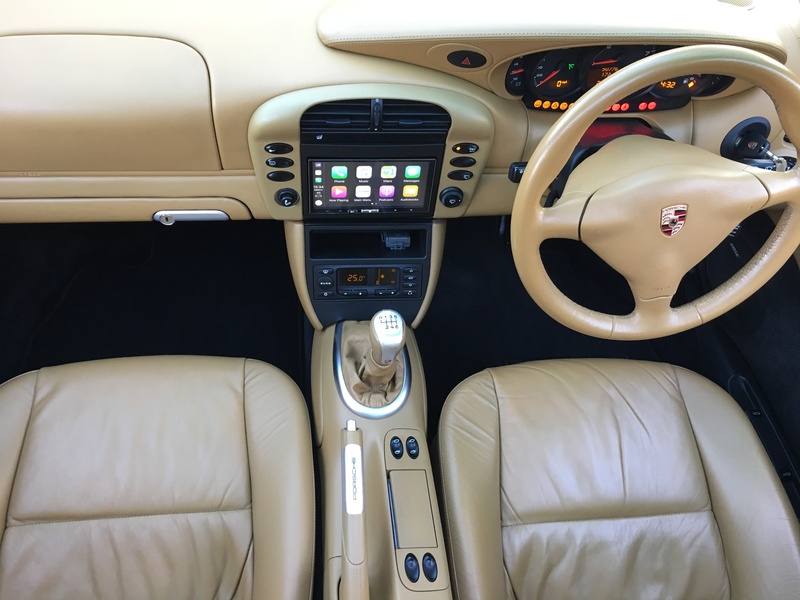 The facia kit from ebay or whoever you like for 996 and double din works with gin 1 and 2 cars, it going in upside-down in Gen2 and you keep your cup holders. I bought one for stuff all from ebay, minimal kit and job done. Have you seen the latest xtrons stuff? Many of them run on the latest android and have all the options other stuff on the market has. Is it still the case they're out dated? android ocracore ones good, its not the latest android IMHO, ice-cream sandwich at best but ok. Avoid Win CE is my point. Brand for china knock off stuff fairly irrelevant too, aliexpress is your friend. Leon did a good DD instal thread for 996 seem to remember the fascia has to go in upside down to fit. It's as good if not better than a modern 991 OEM setup. TBH the Apple maps with live traffic etc is better than OEM in my experience (brother has a 991) we both prefer the Apple Maps Nav. I didn't have the confidence to do it properly myself so had a specialist do it for £150... absolute bargain. The guys smiled at the end, he said it was fun but not straightforward. Microphone is by the rear view mirror and USB in the arm rest box. Neat tidy and imo not too offensive for non OEM look. I use the car everyday and it makes an older car as functional as any modern car.. Excellent, thanks for sharing that's just the part I need. Which alpine unit did you go for? shop around as these Android head units are very common and re-badged. Available through their own site HERE or though Amazon. 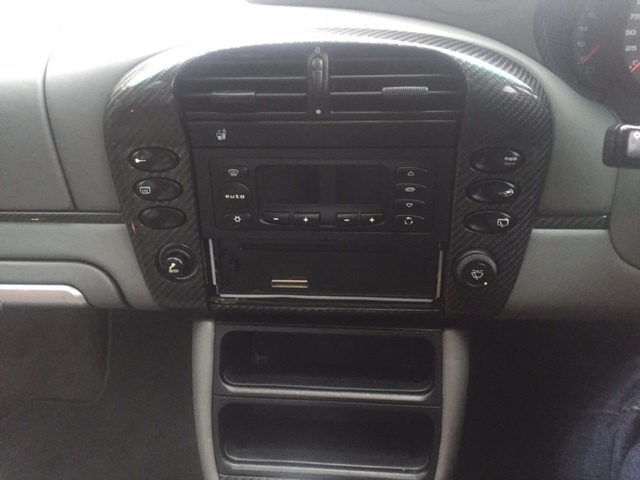 Lots of functionality on these units, lots of choices for the aps too - you don't like the radio interface? download another one! You can't do that with an Alpine... The DAB would be a must for me and the OBD would be fun too. Bose already in the car, sounds great and the connectivity is brilliant. Sound quality very good and the phone works well. You can be streaming music, use the Nav and ask Siri what the weathers like! It's reliable and just what I wanted to make the C4s a useable / practical modern Classic. From the pics, it looks like that metra fascia kit doesn't have the lip at the lower/upper edge which some of the others do. Please can you confirm if this is the case, & which retailer you ordered yours from?